When is the best time to take a vacation to Cabo? Well, that depends. The Cabo water temp and weather varies throughout the year, but there is fun to be had in every season. It all depends on what your tastes are. Let’s take a look at the weather averages in Cabo and the Cabo water temperatures throughout the year, and the best activities for every season. This guide will help you decide when a trip to Cabo will fit best with your interests. Whale Shark Encounter: A whale shark encounter can get you close to these majestic animals for a once-in-a-lifetime experience. Exploring the outdoors: With average temperatures in the upper 60s, the winter months are perfect for exploring the land without overheating or needing to retreat into the water. Book an ATV tour or zipline tour, or take a beach-side camel tour. 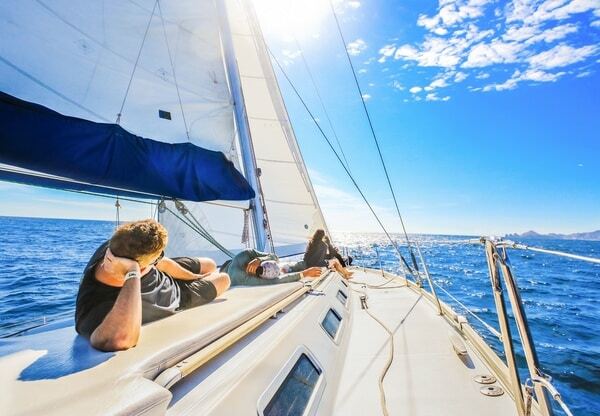 Sailing: Soak up the amazing sunshine on a luxurious day sailing tour. You’ll get up close and personal with the sparkling blue water and spot wildlife while enjoying the sites with friends and family. Swim with Dolphins: The warm water and sunny skies are the perfect backdrops for an unforgettable ocean adventure: swimming with dolphins. It’s also a great activity for families with children. Surfing: If you’re coming to surf, visit from June to August. The waves are at their best during the summer months on both the Sea of Cortez and Pacific sides. Plus, the warm water means no need to pack a wetsuit. Snorkeling: Take a look at the vibrant beauty and wildlife beneath the water’s surface with a snorkeling tour. 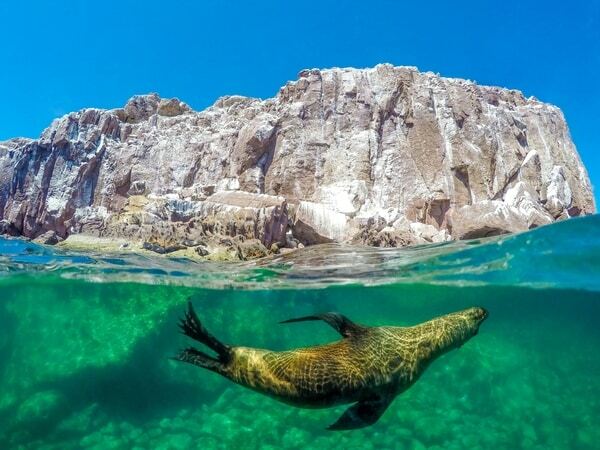 Snorkeling is also a great way to see the wildlife and get in the water to stay cool on a warm day. Snorkeling & Wildlife Tour: The warm water is the clearest in October, making this a great time to spot the beautiful ocean wildlife of Cabo with a Sea of Cortez Snorkeling & Wildlife tour. Beach: The weather may be cooling down in your hometown, but it is summer year-round at Cabo. Lay out on the beach on your fall-time vacation and come home with a tan that will make your friends jealous. So what will it be—dolphins in the cooler months, surfing in the summer, or relaxing during the slow season? The choice is yours. There’s really no wrong season to visit Cabo. 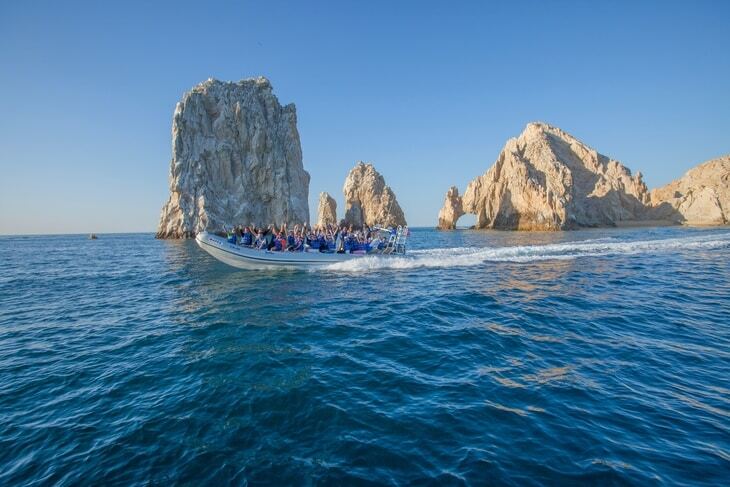 Cabo water temps and weather are a dream year-round, with adventures to suit every interest and taste. Ready to plan a Cabo vacation? Book your tours with Cabo Adventures!